Up to what age a person will be considered youth is still not a point of agreement. Different countries and agencies have different understanding of youth age groups. The Bangladesh Youth Policy considers people aged 15-35 as youth. The State of World Population 2011 report informs that world population reached 7 billion in 2011 and 43 percent of this population is less than 25 years old. The young peoples' rights of health, education and employment are now at the centre of development debate unlike any other time. Greater numbers of world's youth live in developing countries as opposed to developed countries. In other word, poorer countries are likely to be younger while richer countries tend to be older as observed by Washington DC based Population Reference Bureau. Niger and Japan are two extreme examples. In Niger, a country of Sub Saharan Africa that is world's poorest region, more than half of population is aged below 15. On the other hand, about 23 percent of Japan's population, one of the world's richest nations, is aged above 65. Asia-Pacific is home of the 45 percent of world's youth amounting to 700 million young people while South Asia is the most youthful region of the world. 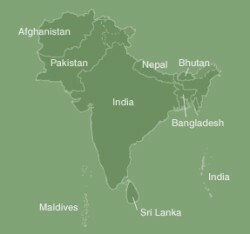 Youth constitutes 20 percent of South Asia's population and they are 26 percent of world's youth population. So, it is high time to bring rights and empowerment of our youth to the centre of development agenda. With this consideration in mind the joint regional conference titled “Giving Youth a Voice” was held at Colombo on 22-24 March 2012. Institute of Governance Studies (IGS) of BRAC University, Social Policy Analysis and Research Centre (SPARC) of Colombo University, Konrad Adenauer Stiftung (KAS), Swiss Agency for Development and Cooperation (SDC) and IDRC Canada joined hands in organising the conference. The Giving Youth a Voice (GYV) conference had 6 thematic panels respectively on citizenship and state, right to education, youth policies, search for decent employment, family and community life, and, digital generation. Professor Mathias Albert of Bielefeld University of Germany gave the keynote speech of the opening session. He talked about issues and challenges of researching on youth. There was also a panel discussion where government and academic representatives from different South Asian countries discussed respective youth policy agenda. Let me now reflect from discussions at the conference as they culminated into possible policy agenda for rights and empowerment of the South Asian youth. To begin with, youth citizenship and their accessing of state are at critical juncture in most of the region's countries. State machineries are not sufficiently aware of and equipped to effectively deal with youth issues. But youth expectations from state are growing and they are increasingly trying to push their demands through political and administrative channels. Such gap between demand and supply sometimes lead to social and political tensions. Sanjay Kumar of CSDS, New Delhi said that youth is emerging as a political category in India. They are interested in youth leadership as evident from their greater support for younger candidates in election over the older ones. But their voter turnout is low. There is lower turnout of youth compared to voters of other age groups consistently over last 15-20 years. Again, young women vote lesser than young men and the urban youth show more interest in politics than the rural youth. About youth and state in Sri Lanka, Dr. Harini Amarasuruiya of Open University, Colombo said that historically active political engagements of youth were often violent and hence something feared. Young students were the main drivers of two major insurrections in the country: JVP insurrection in the south in 1970s and LTTE insurrection in the north in 1980s. In between there were other student led movements. The insurrections and movements saw violent clashes between youth and authorities. There was also violent response from government that led to arrest, killing and disappearance of youth. Campus based youth politics is now suppressed. Independent student unions are disbanded and university students are sent to military camps for leadership training. But the political rationale of violent youth movement hasn't totally withered. Such movements were mostly rooted in resistance to erosion of welfare state system under neo liberal prescription. But that process is still continuing causing increasing marginalization of the non elite. Martin Daltry from British Council Islamabad talked about youth citizenship in Pakistan. The country is often making headlines for violence and religious extremism that is creating negative publicity especially for its youth. The dissatisfaction at the backdrop is revealed from a British Council study of Pakistan youth where they are most worried about injustices and oppressions suffered as citizens, where 30% identify injustice as cause of violence and 28% name poor education. Only one tenth of youth have faith in government and overall they feel forgotten or refused by international community. Syeda Salina Aziz and Kazi Haque discussed about Bangladesh. Their paper was based on Bangladesh Youth Survey (BYS) dataset. Their findings see that youth are interested in voting and that interest grows with their growing age. But political participation other than voting like memberships of political parties, associations or groups is significantly lower. There is strong conviction about free and fair elections. Voting decisions are made mainly on the basis of the candidates' commitment to youth and local issues not on suggestions of friend and family or party affiliation. Youth are open and candid about institutional performance and in doing so they emphasized on efficiency and service delivery. The writer is a Senior Research Associate, IGS, BRAC University.